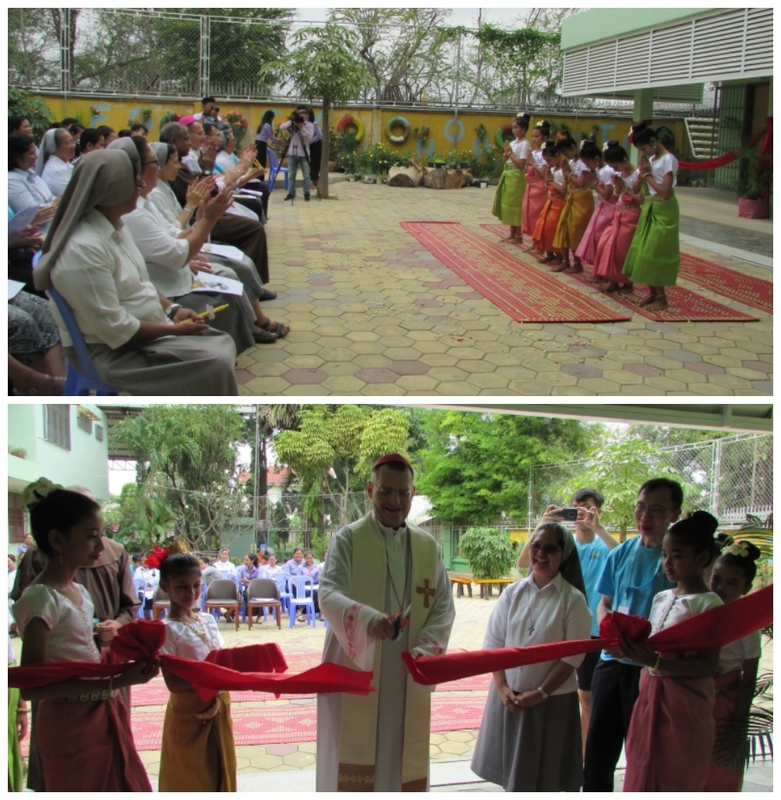 The festivities for the 25th anniversary of the re-opening of the FMA presence in Myanmar began at 8.30 in the morning with the inauguration of the exhibit which was opened with the cutting of ribbon in the presence of Archbishop Nicholas Mang Thang, Sr. Phyllis Neves – General Councillor representing Mother Yvonne Reugoat and Sr. Jessica Salvaña, CMY Provincial. The exhibit presents the history of the presence of the FMA in Myanmar. 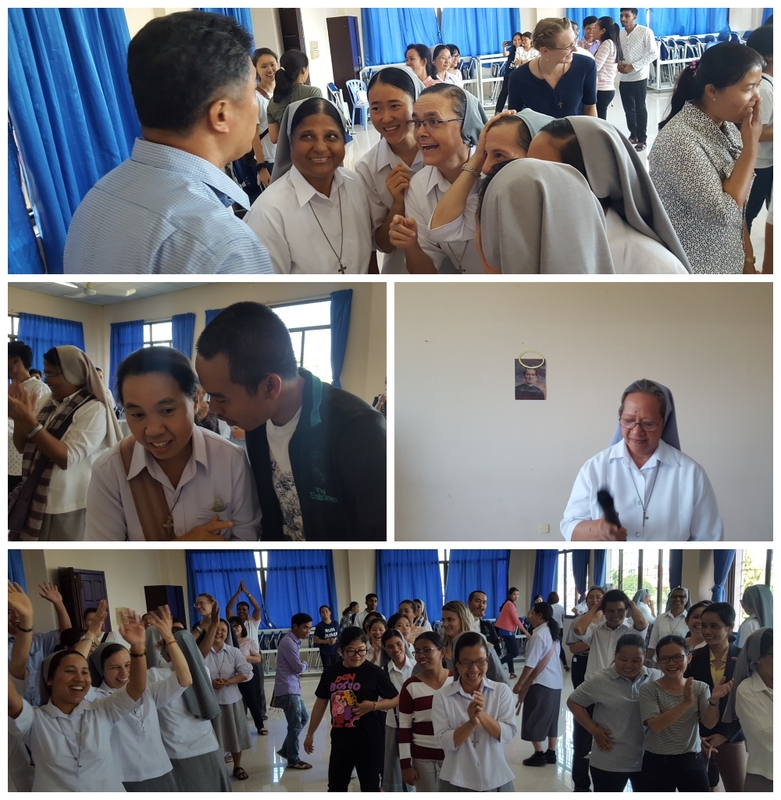 It is then followed by the celebration of the Eucharist as a sign of praise and gratitude to God for the marvelous things He has realized in the FMA communities in these past years, thanks to His providential care. Guests of honor such as Sr. Phyllis Neves, Visiting Councillor for CMY Province, the missionaries who worked in Myanmar during its difficult times: Sr. Lina Chiandotto (Italian), Sr. Giovanna Penello (Italian) and Sr. Gertrudes Ditching (Filipino), the ex-Provincial of Myanmar, Sr. Annie Thevarkunnel from India, Provincial Council and Animators of Cambodia. 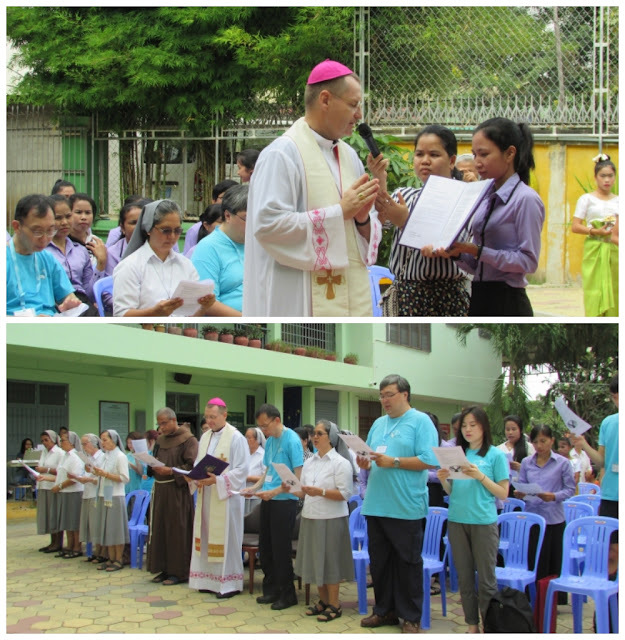 The Archbishop of Mandalay Mons. Nicholas Mang Thang presided the Holy Mass together with Fr. 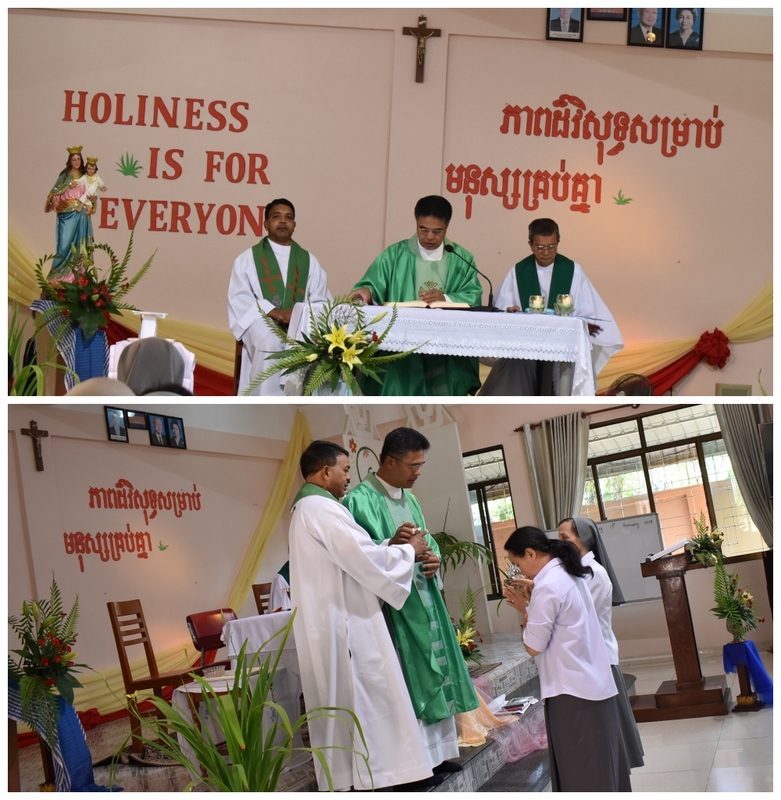 Charles Saw Thin Han Lwin (Provincial Delegate of the Salesian in Myanmar) a good number of Salesians and other priests coming from different Dioceses were united in the celebration of the Eucharist. During his homily Archbishop Nicholas expressed his appreciation for what the FMA have done in the field of education in Myanmar. He has underscored all the work that the Sisters were able to carry out and continue to do for the good of the young especially those who are disadvantaged in Myanmar with lasting and good results. 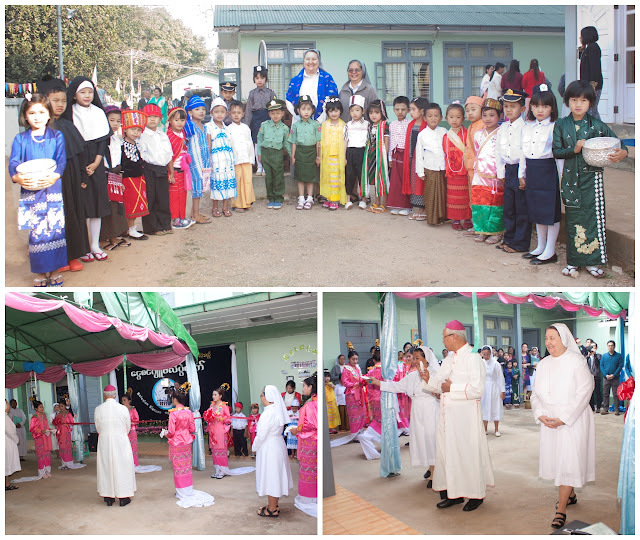 In the celebration of the Eucharist some of the Sisters friends and benefactors coming from abroad (Japan and Singapore) and within Myanmar, three FMA Sisters from Thailand, Past Pupils and parents of the Sisters and religious from other Congregations in Myanmar and the educating communities of the different FMA presences in Myanmar joined the Myanmar Sisters in order to celebrate this joyful event. The Eucharist celebration concluded with the wishes of Fr. Charles Saw who recounted the experience of Sr. Mary Myint in its beginnings of the re-opening of the FMA presence. Sr. Jessica Salvaña, Provincial, from her part expressed her words of gratitude to those who participated in the event. 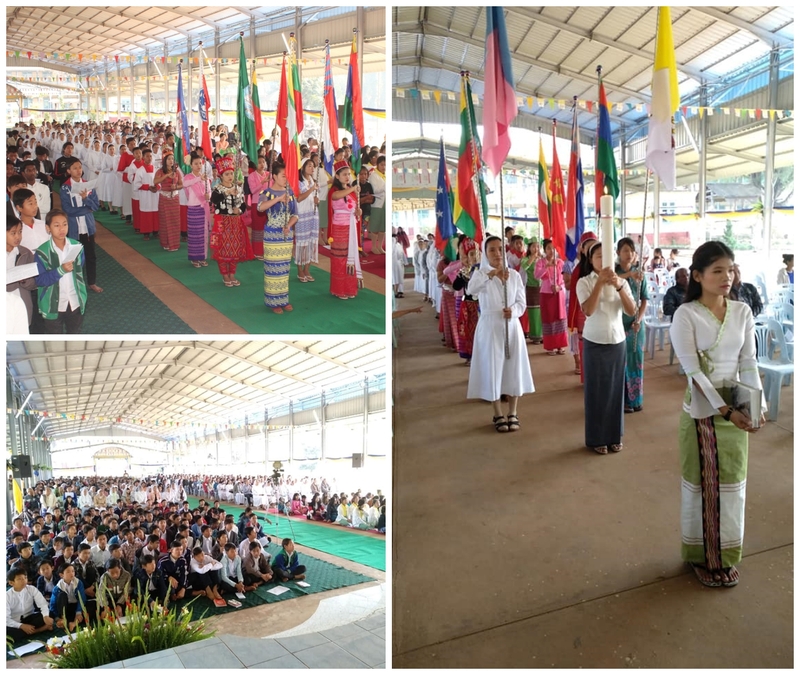 The feast was continued with a well-prepared program which is a brief presentation, in the style of short dialogue interspersed with dances and choreographed songs, on the history of the presence and mission of the FMA in Myanmar starting from their arrival in 1961 until today. 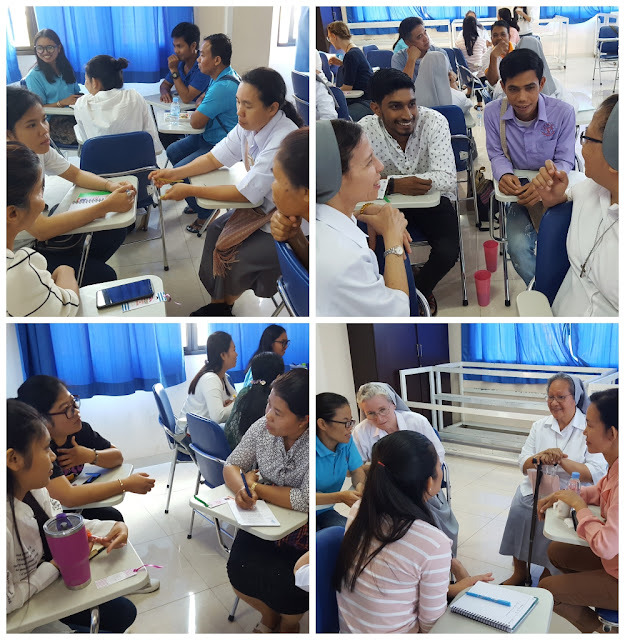 At the heart of the program was the arrival of the first Sisters and Salesian priests in Myanmar. The program was a fruit of the preparations of the different educating communities of the 5 houses. 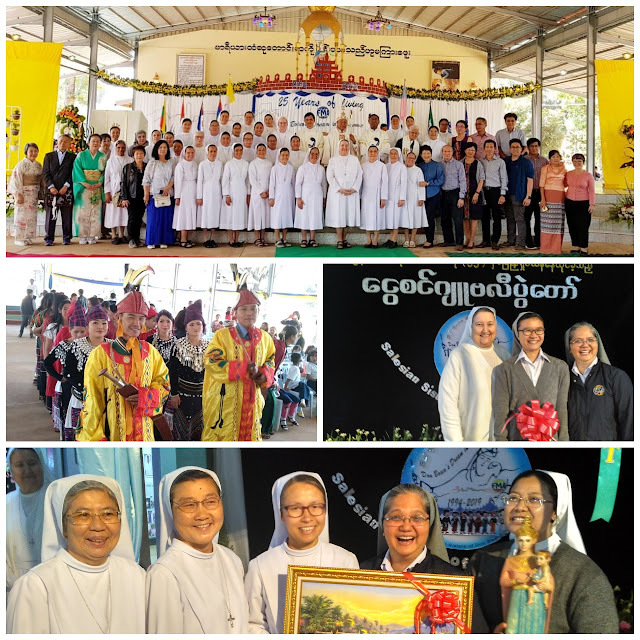 In the beginning of the program Sr. Jessica handed over the jubilee plaques to the local authorities, religious, benefactors, supporters and friends of the Sisters who in one way or another have sustained the FMAs’ educative mission in Myanmar in these 25 years. 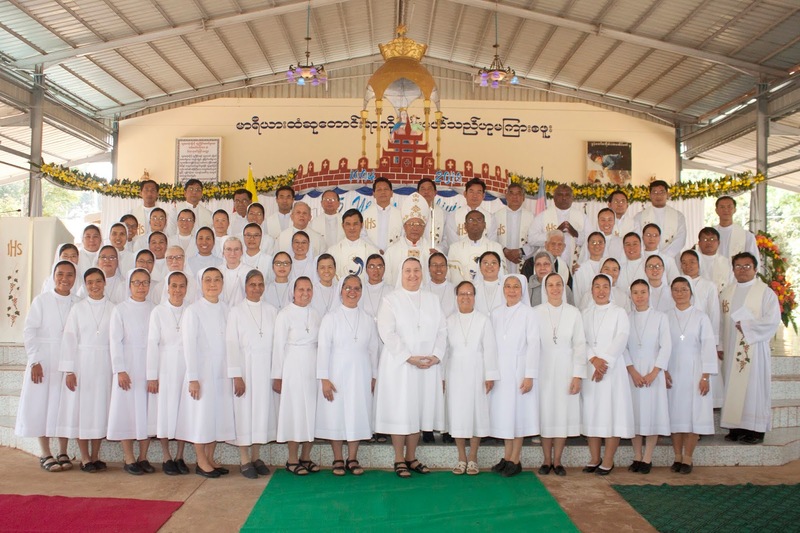 Within the program Sr. Phyllis Neves addressed her message to the assembly expressing also the greetings of Mother Yvonne Reungoat on this blessed occasion. 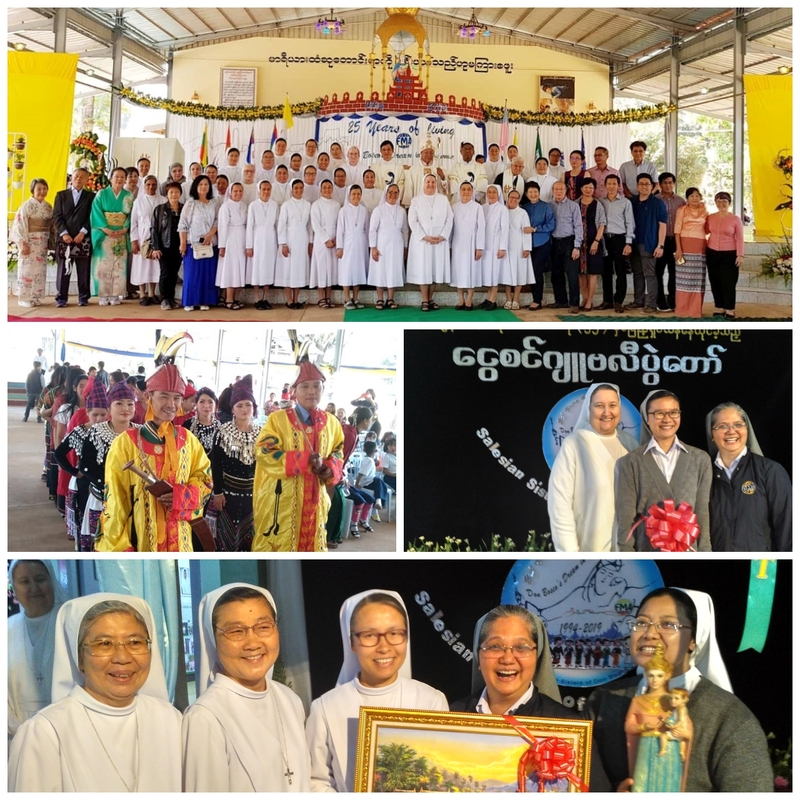 Moreover, she has taken as a point of reflection in her message what our benefactors from ACTS – Singapore have expressed regarding the joy of being with and working with the FMA who are always welcoming and joyful. The celebration ended with a sumptuous lunch lovingly prepared by the Sisters and their collaborators. 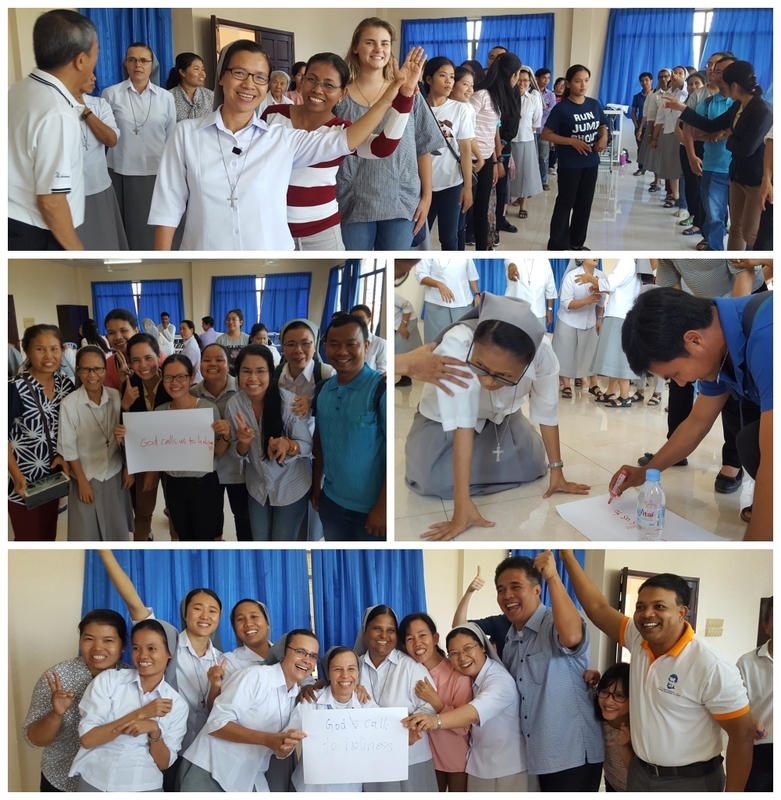 It was truly a meaningful and beautiful feast where everyone enjoyed each other’s company and lived in a true climate of joy and spontaneity typical of the Salesian family spirit. 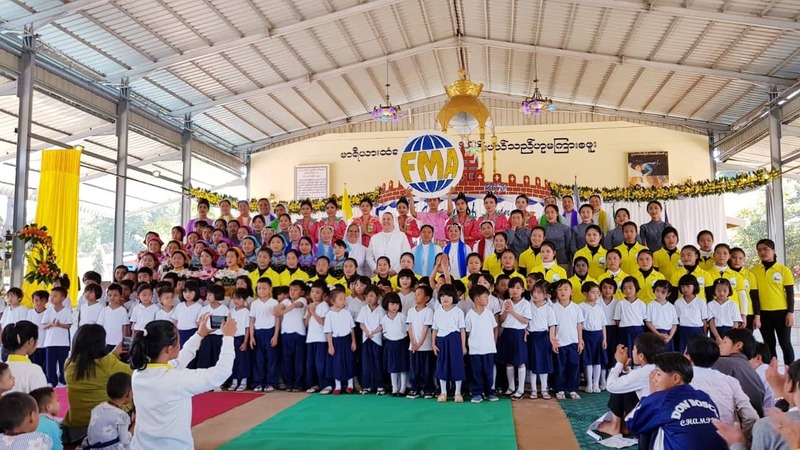 This year’s celebration of Gratitude Day in Myanmar assumes a different tone. 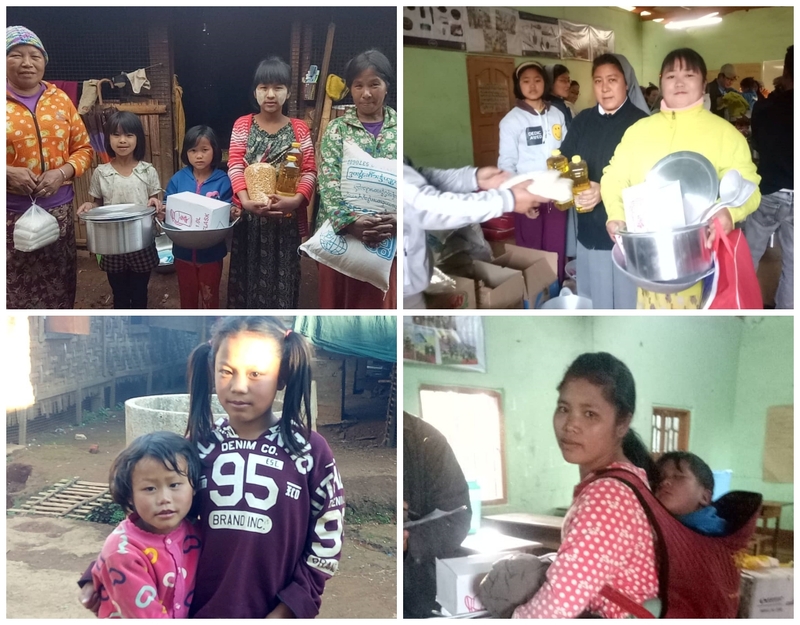 On the 12th of January 2019 some members of the Educating Community composed of 7 Sisters, 1 Lay collaborator, 1 pre-aspirant and two young girls of the FMA communities visit the refugee camp in Kutkai. This visit is part of the Provincial Gratitude Day in Myanmar which is aimed at celebrating it in a more meaningful and significant way. 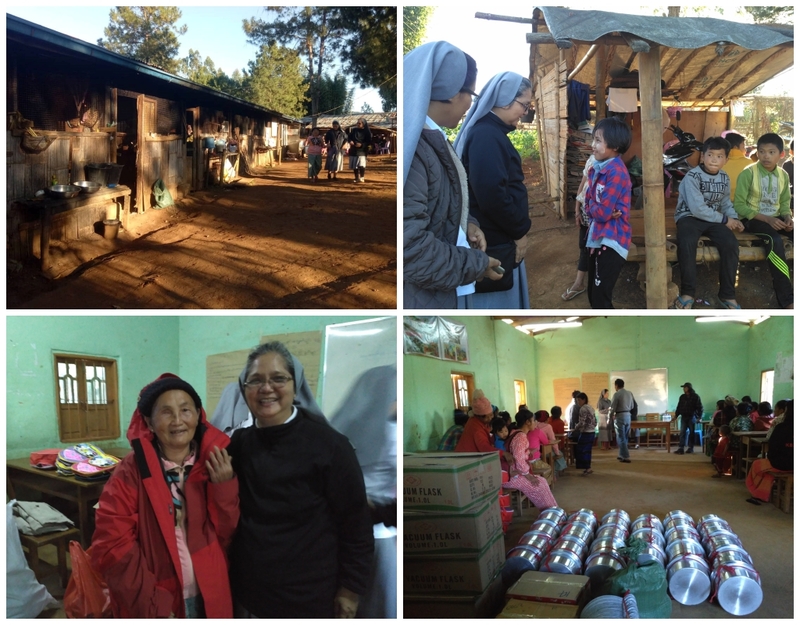 It is realized as an opportunity to share the experience of God’s providential care and love to our presences in the Province with our suffering brothers and sisters who are displaced because of the on-going civil war in Kachin State. Through the help and collaboration of Fr. 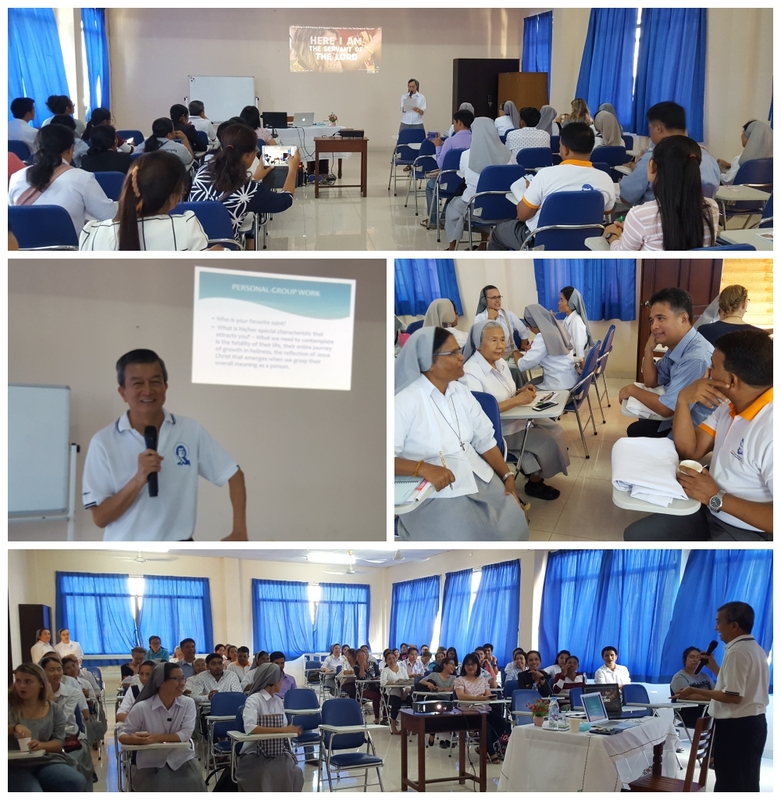 Luigi, Director of KMSS (Karuna Myanmar Social Service) of Lashio Diocese and Fr. Tino, Procurator of Lashio Diocese, the group is able to connect with the 46 IDP’s in Kutkai and Muse’ and is hosted at the Bishop’s residence. Fr. 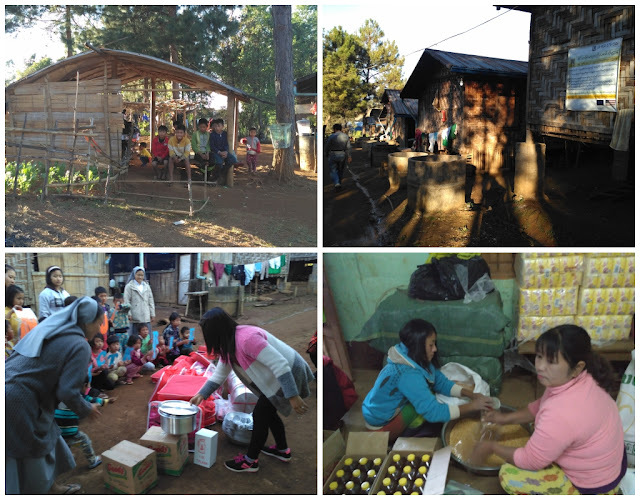 John Gam Seng (SDB) and another 2 laymen accompanied the group to Kutkai for the distribution of the goods. Though Kutkai is relatively far from the FMA communities in Pyin Oo Lwin, this small town in the Shan State of eastern central Myanmar is chosen to be the heart of our gratitude day celebration. It is about 964 km from Yangon and 398.6 km. from Pyin Oo Lwin. It takes around 9 hours by bus from Anisakan, Pyin Oo Lwin to reach the place since the transport has to crossed several mountains. Kutkai is a place near Muse’ which is bordering China. It is indeed a periphery that is worth the attention of any group who wants to bring help to those who are in need. There are 28 displaced families (135 people) in the camp which is inside the compound of the Catholic Church. The families are Catholics from the Kachin and Shan tribe. 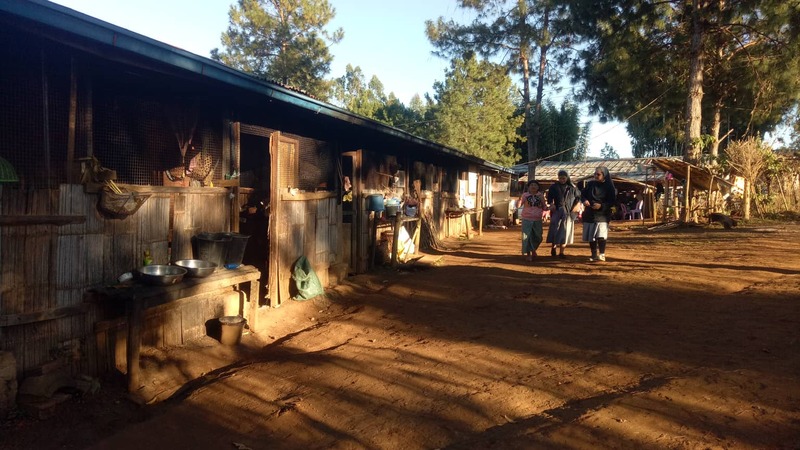 The head catechist, Saya Naung Latt who is assisting the families, recounts that because of the fighting between the Burmese army and the tribes’ army , many people flee from their own villages and find a place for their temporary shelter in the town of Kutkai. 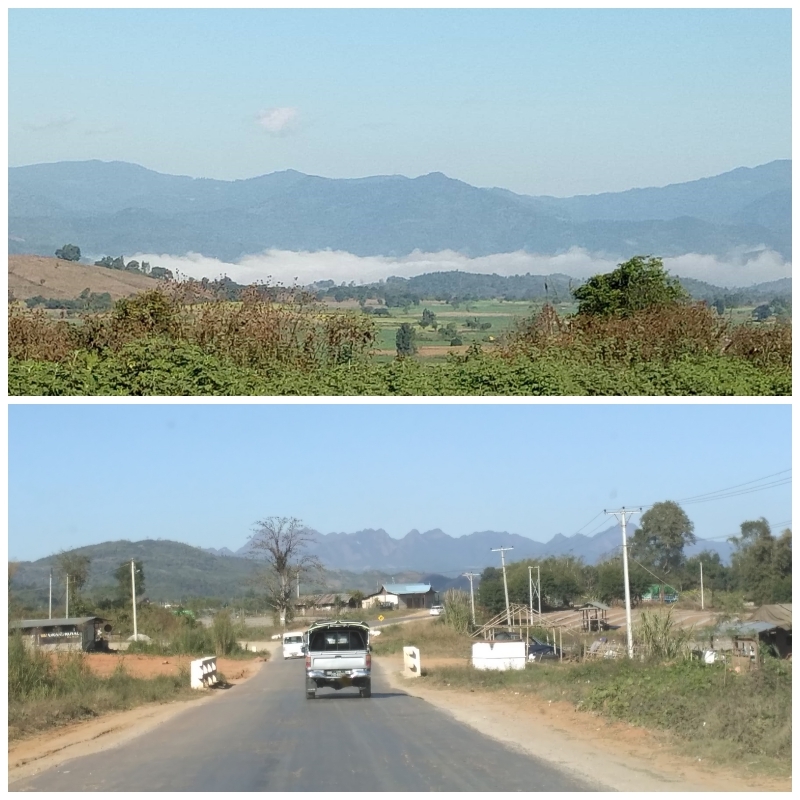 It is far from their village called Naung Phan which is about 15 km away from Kutkai. It has been 6 years that the families are staying in the camp through the help and care of the Civil Society Groups and local authorities. 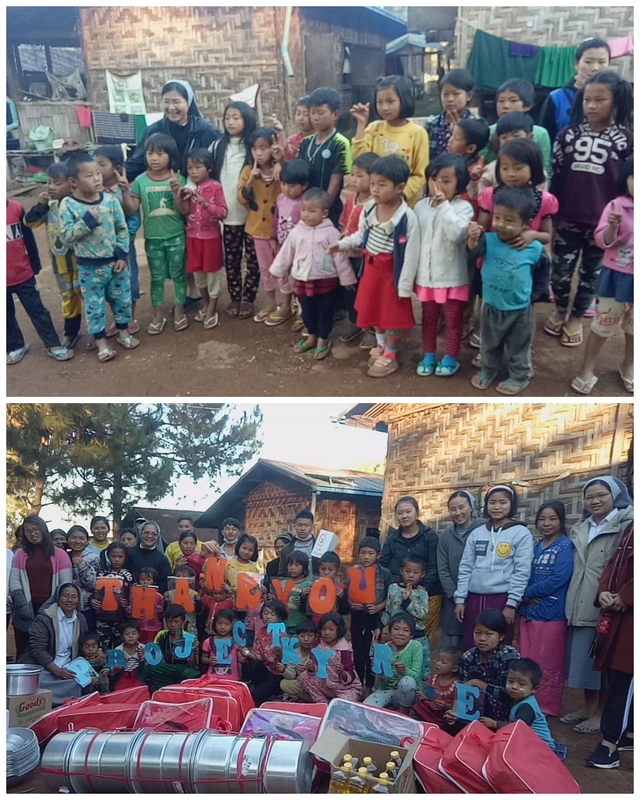 The KMSS charity group of Lashio and the other NGO also provide support for their essential needs of housing, health care and education. But, it is too little and cannot get enough for their living. There are a big number of women and children staying in the camp. The adults try to search for any work that they can find in order to provide especially for the children and elderly. Finding themselves in such situation, the children cannot study well and therefore discontinue their studies and engage in work earning a minimal wage. In March the families will be relocated to Gale Zup Aung, 14 km away from KutKai where, hopefully, they can start to rebuild their lives. 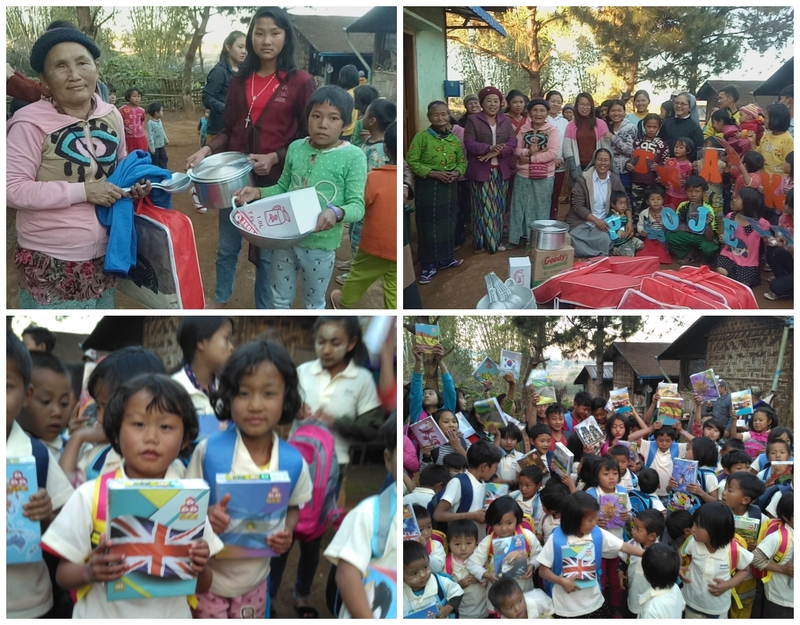 It is touching to see the eyes of the families: children, young people, elderly and adults beaming with joy as they meet and endlessly thank the group for the little items they receive out of the kindness of many people. Indeed, God’s magnanimity and generosity are overwhelming that one cannot contain it for oneself. 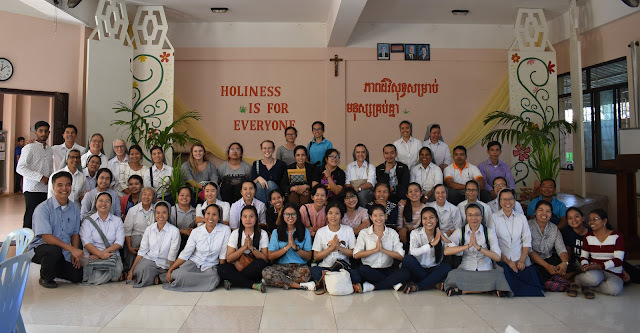 The solidarity with the 46 IDP families from Kutkai and Muse’ of the Diocese of Lashio is the Salesian Sisters’ concrete gesture of recognizing and thanking the Lord for His immense goodness to His people. The visit would not have been possible without the help of our Singaporean friends from Project Kyrie who quickly responded to the Sisters’ invitation to extend help to the IDPs. December 10 was an important date for the Educating Community of Don Bosco School (Phum Chreh) since it was the day that marked the blessing of the additional learning facilities of the school. 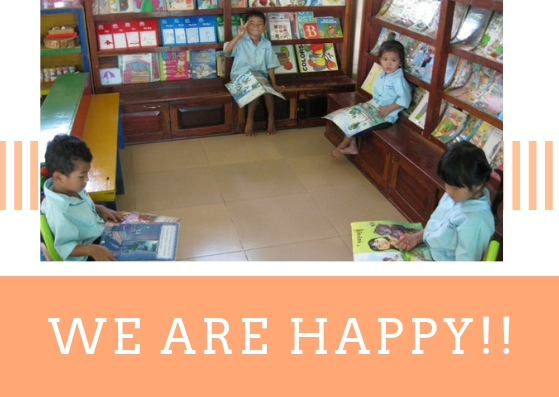 The building constructed through the generous help and support of our benefactors (ACTS, Anonymous donor, friends from Singapore) and members of the Educating Communities in Cambodia was another milestone for Mary Our Help (Cambodia – Myanmar Province). 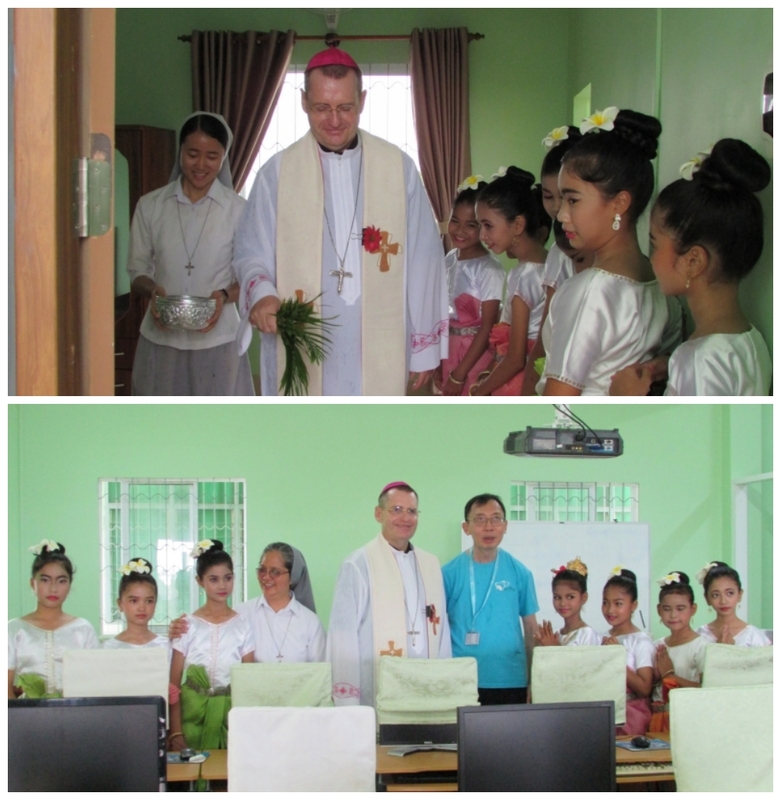 Bishop Olivier Schmitthaeusler, MEP together with Dr. John Lee, Founder of ACTS, Dr. Gladys Wong (representing Dr. Damian Png – Chairman of ACTS and Dr. Eugene Loh (ACTS Mission Leader of Phnom Penh), Salesian Sisters, representatives of the Educating Community of Don Bosco School (Phum Chreh), ACTS Missioners of Phum Chreh graced the occasion to join the Sisters in thanking God for this marvelous gift to the community and villagers. The current school building which was completed in 2002 accommodates children from Grades 1 to 6. The Sisters continue to offer quality education to deserving and poor children offering them free daily lunch meal and medical assistance. Moreover, they want to do more to keep the kids off the streets and to offer them more learning and formative opportunities. 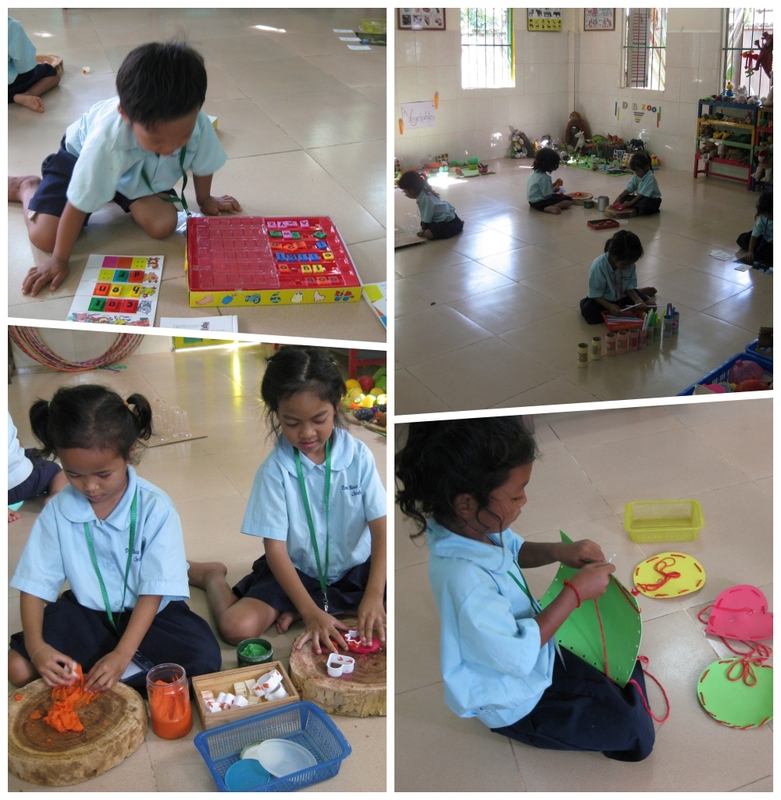 For this reason, a need the building was conceptualized in order to offer other basic school facilities which will provide a full day school (till 4 PM) offering an enrichment curriculum to keep the children engaged in school for a longer duration. The other facilities such as the Multi-purpose Hall, Teachers’ Room, computer Laboratory will also be functional to the teachers and staff which can serve as a conducive place for their weekly formation. 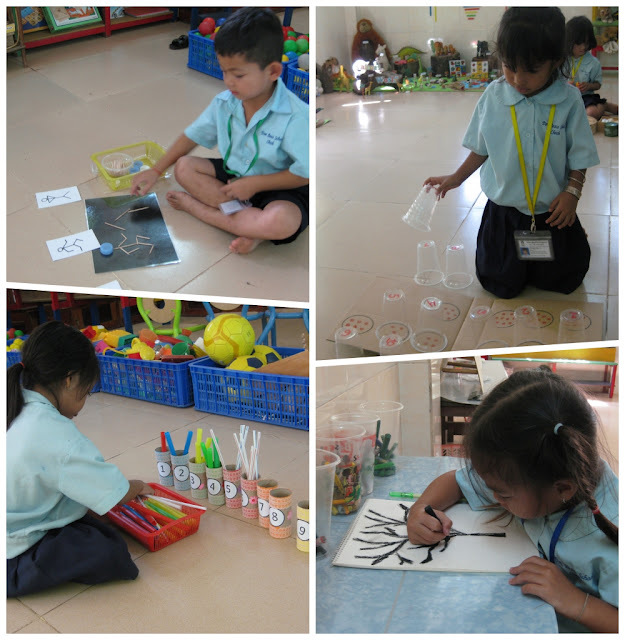 Our children learn by themselves by doing they are learning like Montessori way of teaching.